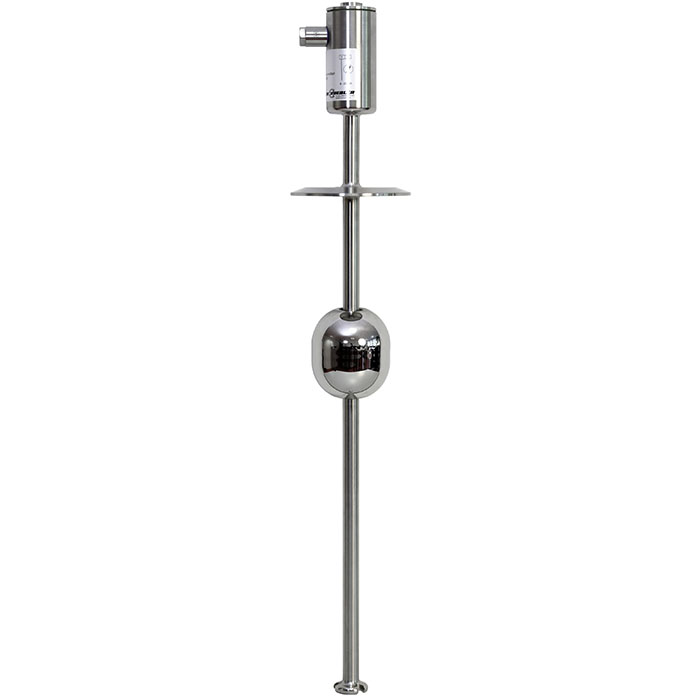 The model FLM-H magnetostrictive sensor has been specifically designed for the requirements of the food and beverage, pharmaceutical and biotechnology industries. The sensor is particularly suitable for the special conditions of CIP/SIP cleaning processes, such as chemical stability towards cleaning liquids and high temperatures. The guide tube is directly welded to the process connection, which guarantees a crevice-free connection, additional sealings are not required. The sensor is supplied with a DC voltage of 10 ... 30 V. Available output signals are 4 ... 20 mA or 4 ... 20 mA with HART® signal. The hygienically designed sensor housing, with an ingress protection of up to IP 68, offers a secure protection for external cleaning with splash water and enables its use in high-humidity environments. The model FLM-H sensor fulfils the high demands of sanitary applications. It is marked with the 3-A symbol and current version number, as it conforms, based on a third party verification, to the 3-A standard.